Often used at corporate events, golf days etc. 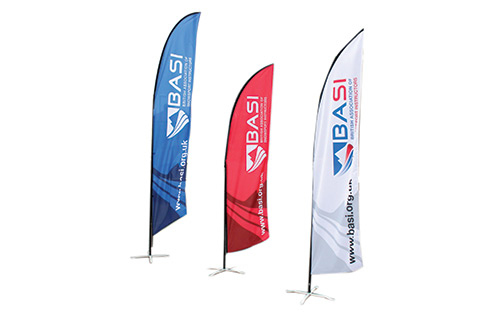 flags are a decorative way of promoting your brand or logo. Design is often a case of simply placing a logo but we can also design flags. FAST – We can organise flags in a few days.